Essef - The uncharted territory of the human brain becomes a landscape fraught with danger for a team of scientists who set out to discover its secretsfrom the inside. Twenty years after the success of his original Fantastic Voyage, the prolific and always illuminating Asimov creates a new scenario for an old premise and fills it with sympathetic characters, unexpected plot twists, and a heavy dose of science-made-comprehensible. Highly recommended. This science fiction adventure involves Comrade Pyotr Shapirov, a stricken Soviet scientist, who has a secret of vital importance to world science. The only man with the skill and knowledge to extract it from the scientist's comatose brain is an American, Albert Morrison, who has to be miniaturized down to a microscopic fraction of his normal size to undertake the mission. In a vast underground laboratory the "impossible" is achieved and he is injected into Shapirov's veins to travel deep into the unchartered regions of the human brain. With only twelve hours to accomplish his task the American struggles against unknown terrors in search of thought itself while Shapirov's life hangs precariously in balance. 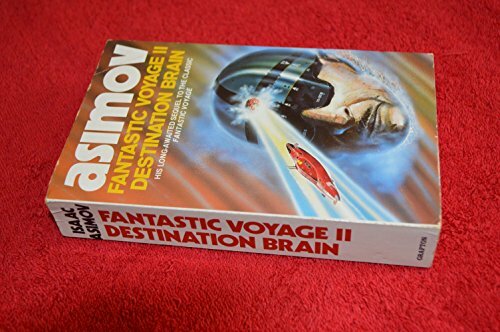 The author also wrote "Fantastic Voyage"(1966) to which this book is a sequel, and the "Foundation" series.